Fluoride is a mineral that is used for prevention of tooth decay. It is commonly found in dental care products such as toothpastes and mouthwashes. Fluoride Overdose is the accidental or intentional intake of the mineral/drug in dosage higher than the prescribed values. What are the Causes of Fluoride Overdose? Fluoride Overdose is caused by the intake of fluoride from water, mouthwash, toothpaste, vitamin supplements, or drugs in doses above the recommendations. What are the Signs and Symptoms of Fluoride Overdose? 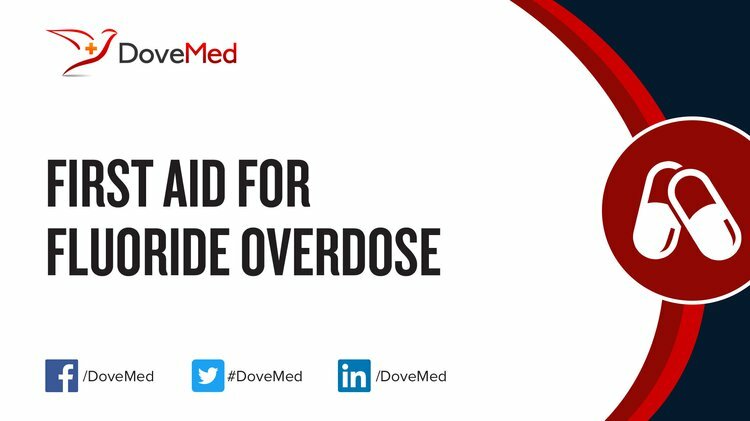 How is First Aid administered for Fluoride Overdose? Who should administer First Aid for Fluoride Overdose? First aid for Fluoride Overdose is administered by healthcare professionals. What is the Prognosis of Fluoride Overdose? How can Fluoride Overdose be Prevented? Datta, A. S., Chakrabortty, A., De Dalal, S. S., & Lahiri, S. C. (2014). Fluoride contamination of underground water in West Bengal, India. Fluoride, 47(3), 241-8. Hu, C. Y., Ren, L. Q., Li, X. N., Wu, N., Li, G. S., Liu, Q. Y., & Xu, H. (2012). Effect of fluoride on insulin level of rats and insulin receptor expression in the MC3T3-E1 cells. Biological trace element research, 150(1-3), 297-305. Borysewicz-Lewicka, M., & Opydo-Szymaczek, J. (2016). Fluoride in Polish Drinking Water and the Possible Risk of Dental Fluorosis. Polish Journal of Environmental Studies, 25(1). Jiao, Y., Zhu, B., Chen, J., & Duan, X. (2015). Fluorescent sensing of fluoride in cellular system. Theranostics, 5(2), 173. Oganessian, E., Ivancakova, R., Lencova, E., & Broukal, Z. (2011). Alimentary fluoride intake in preschool children. BMC public health, 11(1), 768. BIAN, J. C., LIN, X. Y., YANG, X. X., HOU, X. D., FAN, T., & ZHU, Q. L. (2010). STUDY ON THE EFFECT OF FLUORIDE ON CULTURED ENDOTHELIAL CELLS AND THE ROLE OF SELENIUM INTERVENTION [J]. Acta Nutrimenta Sinica, 5, 020. SAYYED, M. A., & KHAN, S. A. (2010). Effect of acute fluoride intoxication on some hematological changes in chicken (Gallus domesticus). BIOLOGIA (PAKISTAN), 56(1&2), 123-127. Benjamin, S. N., Gathece, L. W., & Wagaiyu, E. G. (2016). Knowledge, Attitude and Use of Mouthwash among Dental and Medical Students of the University of Nairobi. Int J Dent Oral Health, 2(5).